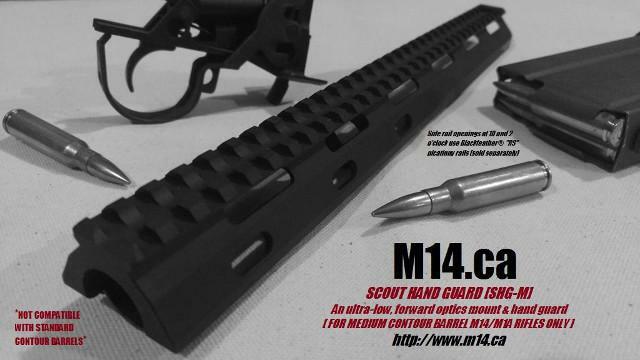 Welcome to M14.ca, a resource for M14 rifle owners and home to the Blackfeather® "RS" rifle stock platform and our new generation, 4 point M14/M1A scope mount, the CASM®; a double-locked design that "unitizes" scope mount to receiver solidly in-line with the bore using the largest fasteners of any M14/M1A scope mount sold. Mount with Confidence. For sales, visit the bottom of each product page or call direct 250 888 9982. Thank-you. Current Status 03.25.2019: Notice: Order processing times are 5 business days. The Blackfeather "RS" is out of stock. New inventory May/June 2019. 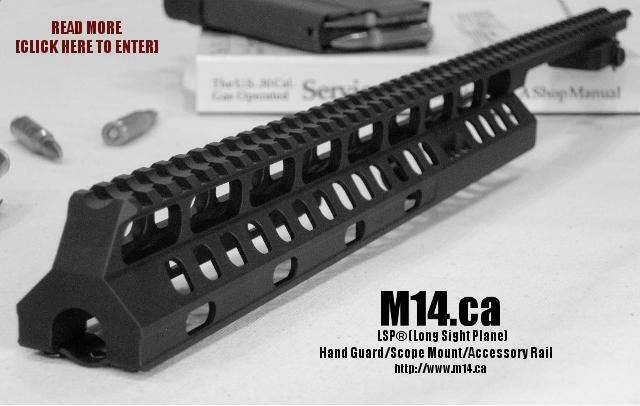 The M14.ca "LSP" is in stock in black and fde. The NORG (new oprod guide) is in stock. 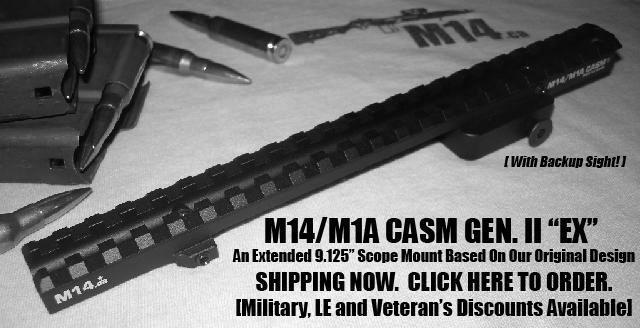 The CASM GEN II M14 scope mount (6 inch) is in stock. The CASM EX (9.25in.) is in stock. 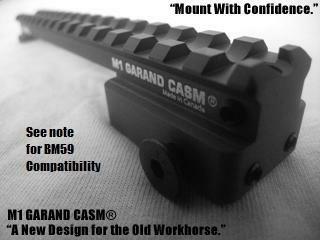 The new M1 Garand GEN II scope mount (with backup sight) is in stock (BM59 compatible if Garand receiver has had no modifications). 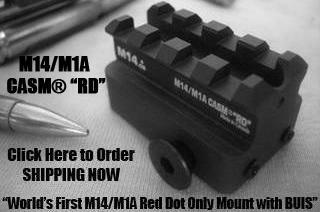 The new BM59 scope mount is out of stock. 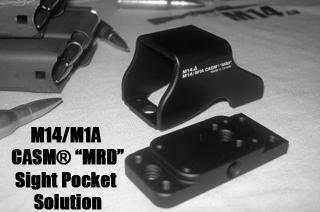 The M1 Garand GEN II EX scope mount is in stock. 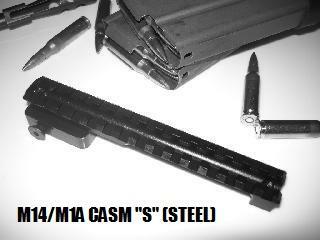 The CASM GEN II Steel is in stock. Our new Burris Fastfire III mount is now available, please email the office to order. 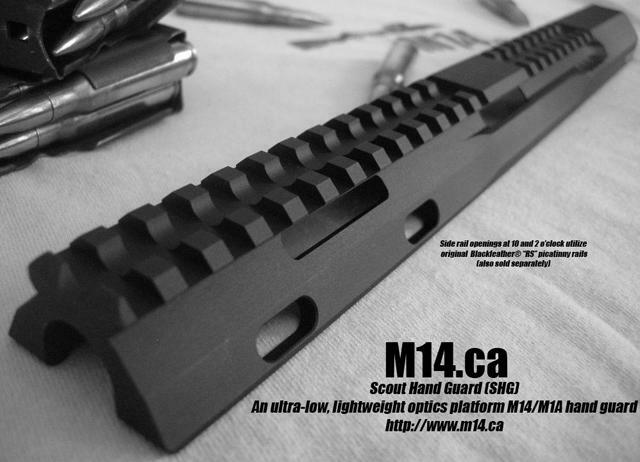 The Scout Handguard is in machining, new inventory shipping April 2019. The CASM RD is in stock. 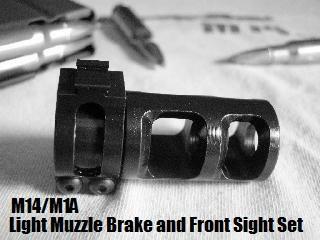 The Light Muzzle Brake/Front Sight Base sets are in stock. 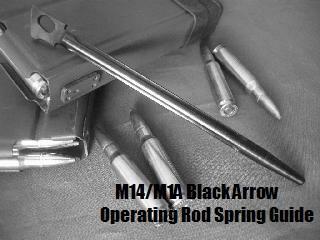 The Black Arrow ORSG is in stock. 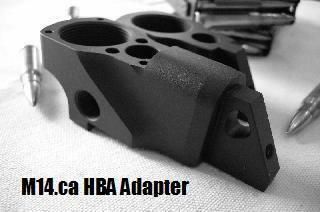 The HBA (High Buttstock Adapter) for the Blackfeather RS is available (black only). 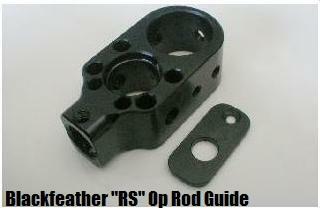 The new MAGPUL SGA Adapter for the Blackfeather RS is in stock. For more information about our FTU and LHG projects on the T97NSR bullpup rifle, visit the www.t97.ca web site or call 250 888 9982 direct. The CA-15 cantilever scope mount from our web site AR-15.ca will be available in early 2019. Take a look at a new concept in cantilever scope mount design for the AR-15 and AR-10 rifle and flat tops. NEW: The world's only medium contour Scout Hand Guard for Springfield Armory Medium Contour barreled rifles is now in stock. See the new SHG-M here. NEW: Our M305-A adapter will be available in April 2019. 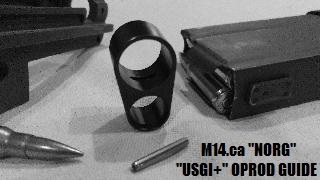 This adapter will allow the 7.62x39 calibre M305-A action to fit into the Blackfeather RS rifle stock. Presently, we are recommending KCI magazines only. 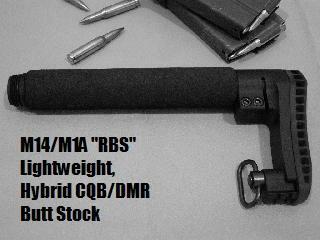 The M305-A adapter may also work with other M14 stocks, however, it is too early to provide a compatibility list. Please watch this notification area for ordering information. Download and read our treatise "Stepped Plane Optics On The M14-Type Rifle." 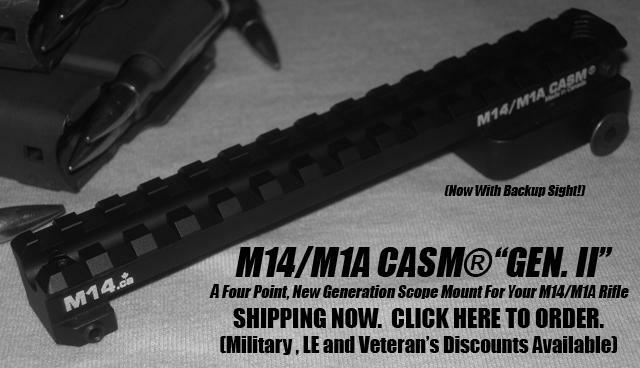 Sign up for product announcements by entering your email address at the bottom of this page, otherwise peruse our collection of quality M14 rifle information, edited regularly. 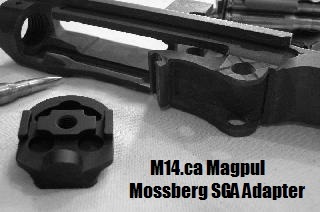 LRB of Long Island Inc.
Magpul Floorplate, 5 Rnd. Magazine Mod. ©2008-2019 M14.ca | Legal + Disclaimer.